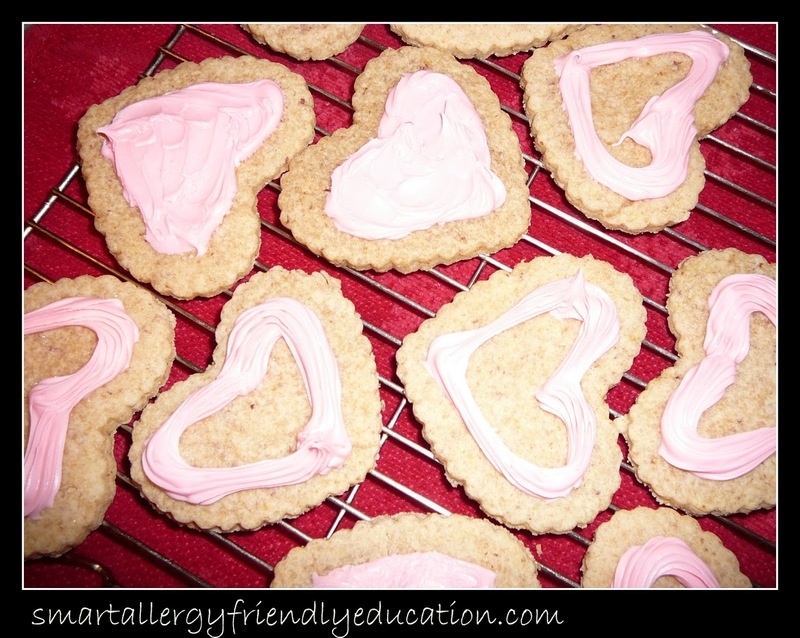 Smart Allergy Friendly Education: EF, DF, NF Holiday Cookies - Thinking Valentines Day! EF, DF, NF Holiday Cookies - Thinking Valentines Day! Mix well the margarine, sugar, egg substitute and vanilla. In a separate bowl, combine the flour, baking soda and salt. Add the two mixes together. Form into a ball. If it's too sticky, add flour, as needed. If it's a bit too dry, add a tablespoon or two of water; just enough to make the mix stick together a bit better. Refrigerate for a few hours and you're ready to finish up your cookie making. Place the slightly crumbly dough on a floured surface. Try to handle it as little as possible.. just enough so that your skin warmth helps to form a ball. I then lay a piece of parchment paper over the dough and roll it out to about 1/4 inch thickness. This recipe can make 4 dozen smaller sized cookies. *1 T ground flaxseed meal + 3 T hot water or other liquid (I boil then use). Let it sit for 5 minutes till it forms a gel and is gooey. *If using whole flaxseeds, ratio suggested is 1 T whole flaxseeds/4 T water (or other liquid). Process seeds in a blender to a fine meal. Add liquid and blend well. These measurements equal one egg. Double/triple recipe and save in fridge for up to a week. 1/4 C of mixture = 1 egg. 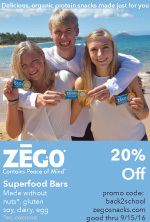 Best in cookies, bars. 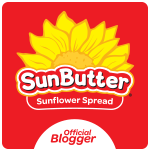 Adds an additional mild flavoring to baked goods. Store in refrigerator for up to two weeks. Tonight was not a homemade icing night, but a store bought one. My pantry is always equipped with a container or two of my favorite egg-free, nut-free, milk- free store bought icing, Pillsbury. With a dash of Wilton red icing, these holiday cookies were ready to go. Want to add some sprinkles? My current favorite brand of nut free milk-free, egg-free, sprinkles is Festival Sprinkles. The packaging also states they are gluten-free.